Our DV6500 web belts utilise the best quality webbing which has a built in stretch for work and sport active people. The webbing has been designed to allow stretch movement, adds a comfort factor and is sturdy 3 mm thick. This webbing is available 4 widths 25, 30, 35 and 40 mm, in addition to the stock colours, we can offer custom colour runs from our shade card and can even pantone match for larger runs of 10,000 metres. 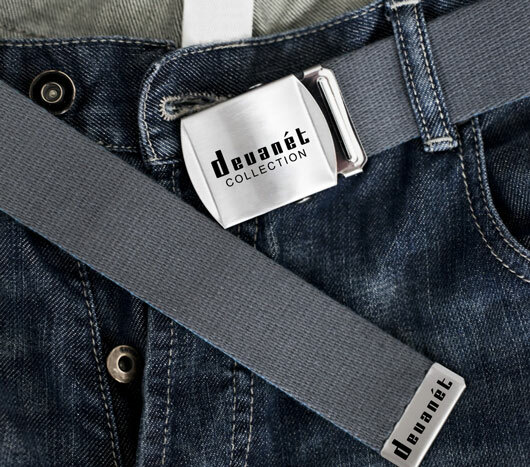 Devanét manufacturer Active Sport web belts to order, Active Stretch belts are designed for a wide range of applications from kiddies sports and jeans belts, mens and ladies golf club sport belts, Active Sport belts, workwear, corporate wear and smart casual belts. Illustrated below are some of the webbing designs we can offer and if you require your own colour combination, the webbing can be custom made for you. In each of the 30, 35 and 40 mm webbing styles we offer a clutch buckle, which has a built in slide mechanism to fix the belt in position, very easy to use and popular because it is easily adjustable and does not require holes punched in the material. One of the most recent developments we have completed is the printing of the webbing with text or logos and further nuances will include crystals and various studs. See our printed webbing section. The clutch buckles are stocked in chrome finish which are diamond engraved with logos, designs, names or initials to suit our customers requirements. 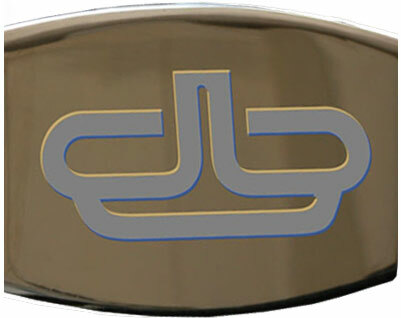 We should mention that we can design your own buckle as long as there is a minimum order of 250 and there will be a die cost depending upon the complexity of the buckle. We also offe the following options.